Stubborn acne can destroy your self-confidence. 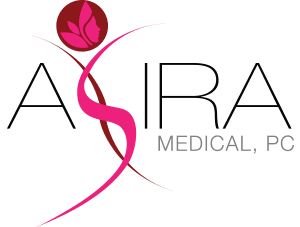 At Asira Medical, Dr. Monica Grover helps patients find solutions for their most frustrating skin care issues. Located in Yorktown Heights, New York, Dr. Grover’s practice emphasizes the importance of treating patients for both medical and cosmetic concerns. Double board certified in Family Medicine and Obstetrics, she provides expert medical help in eliminating acne and removing lasting scars. Let Dr. Grover help you achieve the skin you’ve always wanted. To learn more, call or book an appointment online. Acne is a common skin condition that affects millions of Americans. While many people think acne only affects teenagers, you can experience acne at any age. Acne starts when your pores become clogged with oil, dirt, or skin cells. These clogged pores then become inflamed, swollen, or tender. You can develop acne on any part of your body, but acne is most common on the face, neck, shoulders, and upper back. While acne is usually not harmful to your health, it can be painful and embarrassing. Acne is sometimes difficult to treat, and you may experience recurrent outbreaks. As your acne fades, it may also leave behind unsightly scars. Acne develops due to a type of bacteria which lives on your skin. These bacteria trigger inflammation when they become trapped in your pores. Many people experience an increase in acne due to hormone imbalances. Young adults often suffer from acne during puberty. Many women also experience acne during certain times in their menstrual cycle. Pregnant women or women with polycystic ovary syndrome (PCOS) may also struggle with acne due to changes in their hormones. Diet and stress can play a role in acne outbreaks, as well as certain medications. Dr. Grover can help you uncover the cause of your acne and prevent future breakouts. She also provides treatment to reduce the appearance of old acne scars. At your consultation, Dr. Grover discusses your medical history and your personal skincare goals before developing a personally tailored treatment plan. She may recommend a combination of treatment strategies, including customized skincare products. If hormone imbalances are causing your acne, Dr. Grover can also provide guidance on how to address these issues. 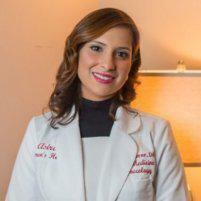 Dr. Grover does more than just help you cover up acne symptoms. As a board-certified physician with experience in gynecology and obstetrics, she can help you explore the medical causes behind your acne to treat your symptoms in the long run. Let Dr. Grover help you finally solve your acne problems. Call today or schedule an appointment online.